I'm confident that most of you who read my blog understand the need for water filters. Whether you are a backpacker or hiker or are preparing for a large scale event when our water supply will be interrupted, you get it. If you have spent any significant time away from 'civilization' where you only have what you brought with you to sustain you, you also get it. Maybe you have experienced a natural disaster when your culinary water supply has been interrupted or your city's water supply has been contaminated. If any of these situations apply to you, and if you have ever been thirsty (which truly applies to everyone), you had better not take a source of clean water for granted. This can be tough for many of those who rarely ever leave the comforts of their community to venture out into the wilderness. Do you leave the tap water running while brushing your teeth? Do you use more water pressure and volume than you really need in the shower? Do you turn off your sprinkler system when it has rained outside so that you don't over water your lawn? Do you collect rain water from your roof to apply to your garden at a later date? If you don't do any of these things, or are not conscious about your daily water usage, chances are that you don't truly appreciate the enormously important role of clean water in your life. If you don't appreciate how easy it has become to obtain clean drinkable water that won't make you sick then you probably don't genuinely understand how important and even critical a role water filters can and will play for you and your family. LifeStraw understands how important these topics are as they continuously help families and children in developing countries to have clean water. Many reputable water filtration businesses do the same. These are the kinds of businesses I prefer to give my business to. There are many different types and kinds of filtration products available. Many of which are excellent. Others, not so much. Most of which are different and excel at doing specific tasks better than others. In this article I am focusing on the LifeStraw family of products as they fill particular gaps in our families water filtration needs. 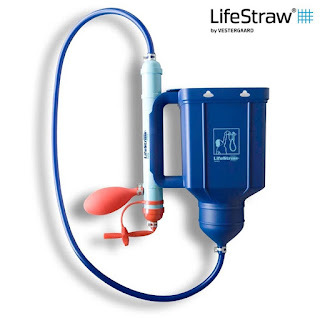 The LifeStraw itself is likely the most simple water filter available. They pioneered this technology decades ago and have proven themselves around the world. For the cost, weight and size of the LifeStraw there is no reason for you not to have one in each of your EDC or bug-out/get-home bags. 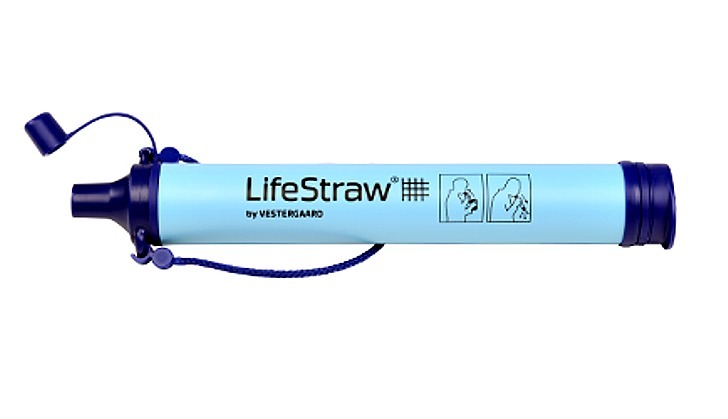 For additional capability of taking some chemicals out of your water like chlorine consider using the LifeStraw steel which contains a replaceable carbon filter in addition to the highly efficient hollow fiber membrane technology LifeStraw employs. 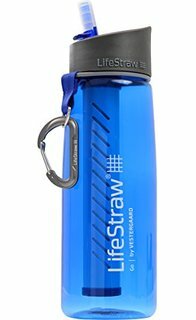 For my short hiking trips I choose to carry the LifeStraw 'Go'. No water filter could be more convenient for me. As the trail passes by a river, stream or spring I simply dip the bottle in, put the lid on and hydrate myself. I'll then top off the bottle and continue with my hike. For larger volume water filtration needs like cooking and cleaning the LifeStraw 'Mission' and 'Family' water filters are excellent choices. Every family needs to have a gravity fed filtration system like these! I can't stress that enough! The 'Mission' is very lightweight and portable and can easily be backpacked into your base camp. The LifeStraw 'Family' makes water filtration at home very easy and convenient because of its container. Both the 'Mission' and 'Family' are capable of filtering out viruses in addition to bacteria and have a rating of well over 4,000 gallons. They both also have a unique and easy to use built in way to clean the filter which is an essential part of extending the life span of all LifeStraw water filters. There isn't a single water filter that will last forever. Some claim to be able to last up to 1,000,000 gallons. This is just simply false and a misrepresentation. 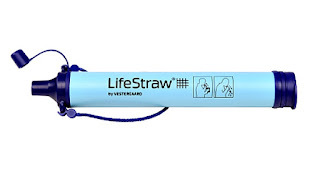 The ratings of the LifeStraw products are very realistic. You do have to take care of them properly or they will not last as long as the manufacturers ratings. Be sure to follow their instructions exactly to get the most out of your filters. Filtering silty water, water that is not 'clear', will result in a shorter filter life span as with any water filter. Keep in mind that when it comes to a long term event, when you need to filter water every day, you will need to not only take good care of your water filters but you will also likely need multiples of them. Backup and redundancy is the way of the prepper. 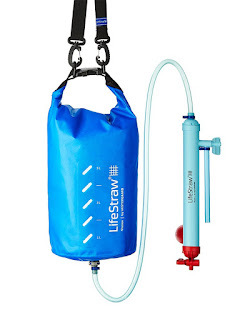 LifeStraw is just one of many water filtration options available to you, but one of the few that I highly recommend. My advice is plan to have at least one high volume water filtration system, and one personal water filter, for each member of your family, whether it be a LifeStraw product or one of the other great systems I have reviewed on this blog, for your long term emergency needs.